Tired of getting the "not connected" message when you click on a Mac computer on the "Shared" sidebar of finder? 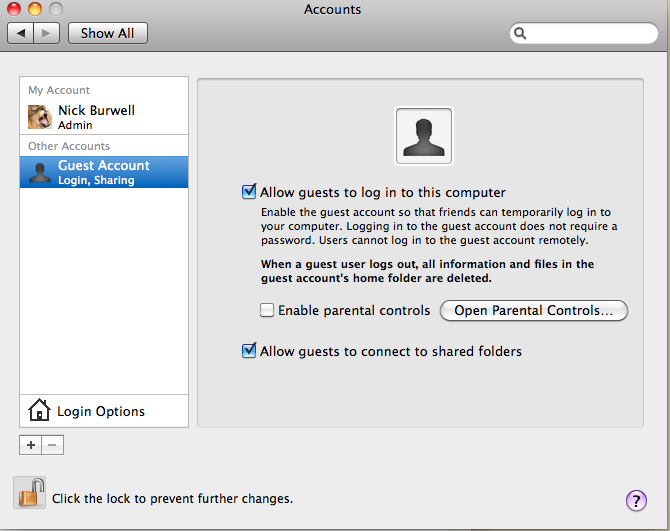 I was.. and couldn't figure out how I had lost guest access to my public folders when using other Macs on my LAN. You don't configure that on the Sharing screen in System Preferences. 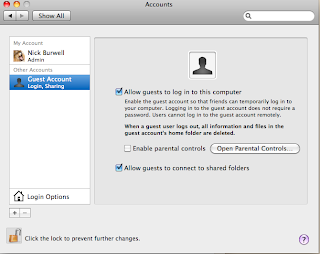 Instead it is as simple as checking "allow guests to connect to shared folders" on the Accounts > Guest Account screen. I had somehow managed to turn that off (or maybe it's off by default?). Now I can have other computers on my local network access my public folder and have a drop-box to put files into (with write access only). Phew, my life is in order again.